« March Networks raise the bar – Apple compatibility! 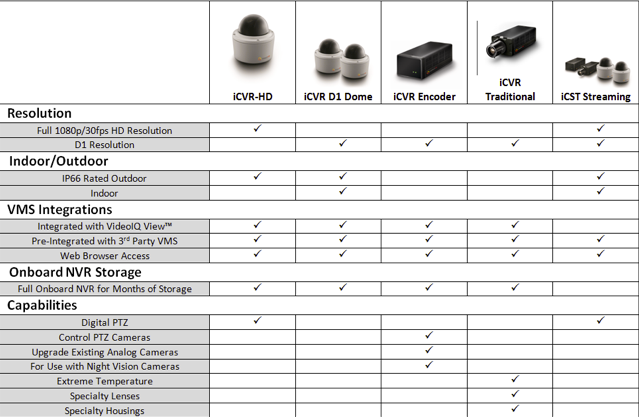 Probably the main interesting point, is that EVERY device is also an onboard DVR…….Dome cameras and Encoders all have onboard storage for up to 6 months recording! 1GB flash and then SATA Ruggedised HDD means that network outages are irrelevant. Video IQ have made Software available or alternatively 3rd Party integration with companies such as Genetec and Milestone mean these products are flexible as well as feature rich. 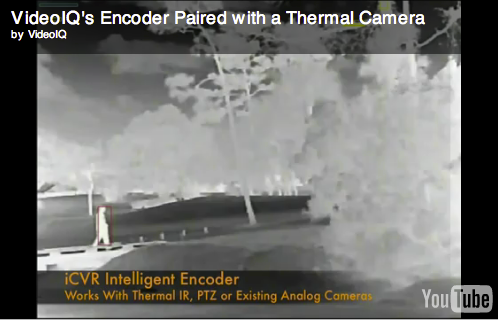 And, sshh, we’ve heard a rumour that a certain UK manufacturer of PTZ IR, Thermal, Overt and Dome cameras could well be linking up with VideoIQ to add analytical tracking and onboard recording to its range of high speed PTZ units…….more soon! So, VideoIQ, keep an eye as we think these guys are going to be getting some good attention in 2011! This entry was posted on Wednesday, February 2nd, 2011 at 06:34	and is filed under Analytics, IP CCTV. You can follow any responses to this entry through the RSS 2.0 feed. Both comments and pings are currently closed.